If you have decided to get involved with the spa industry, then most likely you have a lot of questions about the business. One of the most important ones is the kind of services that you should offer to your clients. It is a very important factor when running a franchise business and you must make sure that you are in line with this scope of business that is associated with what these types of franchises have to offer. In that way you are provided with guidelines that must be followed in terms of what you can offer and cannot, in addition to finding out more about how to specialize in the services that your business will provide. That will ensure that your business is profitable and will receive a constant flow of customers searching for services that have been proven to be successful in the past. When it comes to permanent makeup, you might be cautious, but it is a revolutionary makeup application method, and is conducted in a safe way for your customers. The technique that is used by your salon is easy to understand, and will help your clients feel more satisfied and self-confident with the results that they receive. The face is obviously the main area that the technique is used on. Also you will find the technique that you use will only have to be utilized a few times. 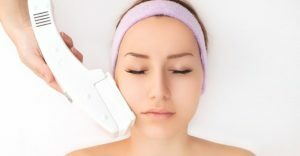 The technique involves utilizing the skin’s natural pigments and then injecting them into the dermal layer. That enables the skin’s color to take the pigments colors on naturally that were injected, and that also helps with a long-lasting effect. That provides people with the appearance that they are looking for, and with an effective way of obtaining coverage for areas like scars, skin discolorations, and bad acne. Another effective technique for creating the perfect look eyebrows is permanent make-up. One of the most common areas where permanent makeup is, includes eye-liner and lip-liner or touching up those areas. The technique is used for enhancing the eyebrows also. It is a lucrative service that you can offer to get great results, while providing your clients with a way to save lots of time when they are are applying their make-up each morning before they go out at night or going to work in the morning. By now we are sure you’ve have heard how popular laser treatments are now. One advantage that laser therapy provides is that it eliminates the discomfort and pain that people tend to experience from waxing, and also minimizes how how an individual needs to shave. This is one of the main specialized services offered by ComplexCity Spa. The laser treatments that are available from the franchise are advanced based on the gold-standard lasers that are used for beauty care. The lasers are used to safely remove all sizes, colors, and shapes of tattoos. So if you encounter customers who mistakenly got a tattoo one night in college while they were drunk, you can provide them with a highly effective method for removing these unsightly tattoos finally. Another benefit that is associated with these lasers’ quality is that only minimal pain will be experienced by your clients compared to what they could potentially experience at another salon. Everybody wants to have a beautiful and glowing complexion. 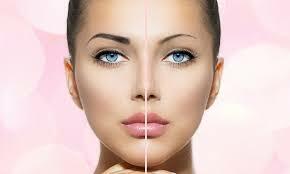 Being able to maintain good looking skin is very important to numerous individuals to help give them more confidence. That is why potential customers want to make sure that you offer skin care services with the highest possible standards. There are various skin care services that will be offered by your business. In terms of the best skin care plans to provide to your customers, each person will need to be worked with as an individual in order to customize the ideal skin care program to meet their individual needs. That will ensure that you provide them with the highest standards of service and know that the results will completely satisfy them. The skin care services you offer provide your clients with a way of maintaining a blemish free and more useful complexion. That is made possible by the various anti-aging packages that your salon offers. That means you won’t have to worry about your clients being dissatisfied since your treatments and products are of the highest standards possible and the results have been proven to work already for many other clients. This franchise offers body treatments that uses the latest technology with extensive research backing it up. The treatments have been offered for many years and they are still available due to all of the successful results that have been experienced by ComplexCity Spa customers. That is why you can be confident they can work well for your customers also. Only the most current technology is utilized, and that is why you can feel comfortable about providing your customers with results that are long-lasting, effective, safe and successful. One great example of body treatments offered by this franchise is their stretch-mark removal treatment, which is very popular. You might think it is a bit of an odd service, but you will realize quickly that this kind of service has a huge market for it. It includes women who have given birth or body builders with stretch marks due to their muscles growing too quickly. Those kinds of clients always are looking for a way of diminishing or removing their stretch marks. With this unique form of stretch-mark removal treatment that is offered via ComplexCity Spa franchises your clients are offered an effective and say way of getting rid of the stretch marks once and for all finally. The treatments work well on bigger areas also and provide a way of helping your customers feel better about their appearance. Something else goes along with the common stretch mark problem. If you had a baby recently or maybe worked out at a gym in the past but have stopped going then there is a good chance that you have flabby skin. Often the excess skin is caused from losing muscle tone or whenever an individual loses weight following the birth of a baby. The excess tone for most people can be a source of shame and embarrassment. You will be very happy knowing that your franchise not only provides stretch-mark removal treatments that are effective, but an effective treatment as well for tightening the skin. Those treatments are among the best ways to manage flabby and loose skin. Becoming the owner of a ComplexCity Spa Franchise is a very exciting venture that you can really look forward to. It is the kind of industry where you can interact with different clients on a daily basis and a way of developing loyal customers and friendships. One of the more satisfying achievements that comes with being an owner of a beauty salon is getting to provide the highest quality products and services to your clients. We have just mentioned a couple of the most popular services that ComplexCity Spa offers, however there are many more yet to be discovered and learn more about. In this article we have only highlighted and briefly covered some of the more popular services that we provide to our clients. However, you will be happy to hear there are many other services that can be offered to cater to an even wider base of customers. One of the very best parts about making the decision to become a franchise owner is these services are established already and based on proven products and services. That means you are guaranteed to offer your own customers only the very best.